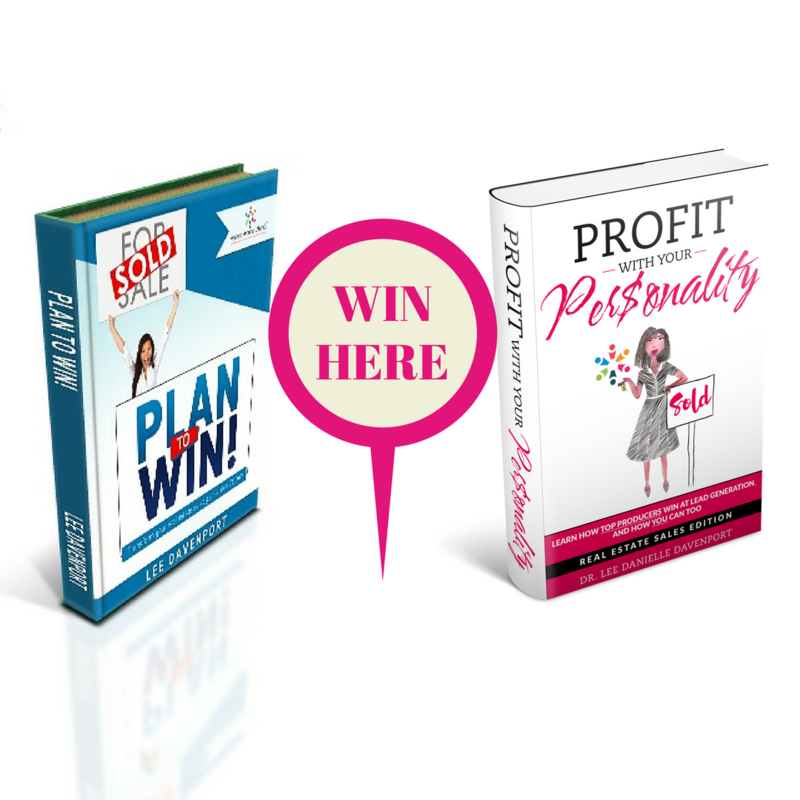 Select excerpts from the workbook, Plan to Win, developed to help you transform your real estate sales game plan. Have you been meaning to try Facebook ads but can't seem to get it going like you want? 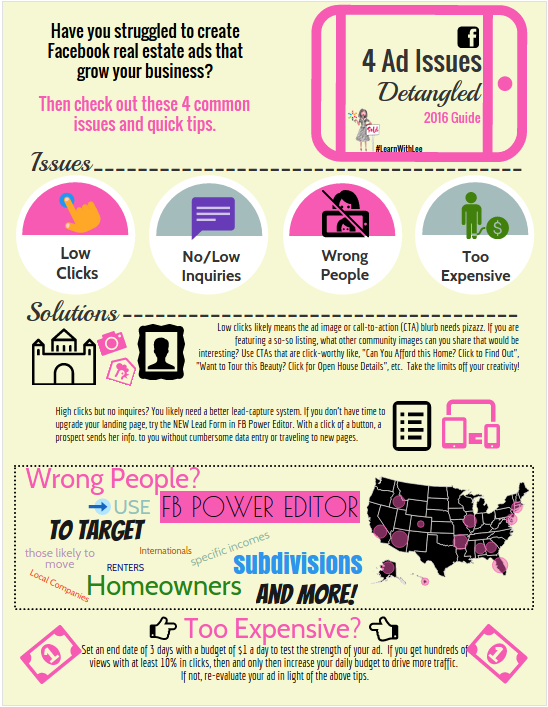 Then check out the infographic below with some quick tips. Have you ever noticed which Facebook posts you click on and which ones you skip? You may find that you usually like, comment and reshare the ones with a funny, wise, or emotional spin, or those that feature people you know. What does that tell us as REALTORS® using social media to grow our businesses? That it is time to employ the Social Media Golden Rule: Share with others as we would have them share with us! It is time out for posting (cough... really spamming) our social networks with random real estate articles and unattractive listing photos that truthfully we would not care about if we were not in real estate sales ourselves. This is even more vital when you go the extra step to spend your hard-earned dollars on Facebook, Instagram, and other social media ads. Creating a Facebook Ad (or Instagram Ad since it can all be done from the Facebook Power Editor - yes!) is like creating a work of art; and, executing that ad is a science. For some quick tips that can help you get over 4 of the most common hurdles to running successful Facebook Ads, both in the creation stage and in the execution phase, check out the infographic below. But if you need more in-depth help in creating Facebook Ads, join me for the next complimentary Facebook Freestyle Session I will host, this time online (it was last in Atlanta to the chagrin of many of my RE friends outside of Georgia so this is for you!). Click here for more information or to register. By the way, my Facebook Freestyle Session is where you can get your most pressing questions answered on how to use Facebook Ads to grow your business. This is not a scripted, drawn-out, boring webinar with nebulous points that do not impact your business. Rather, you join the session with your specific Facebook Ad questions and laptop in hand for 3 minutes or the full 30 minutes - it is a freestyle so it is your choice! 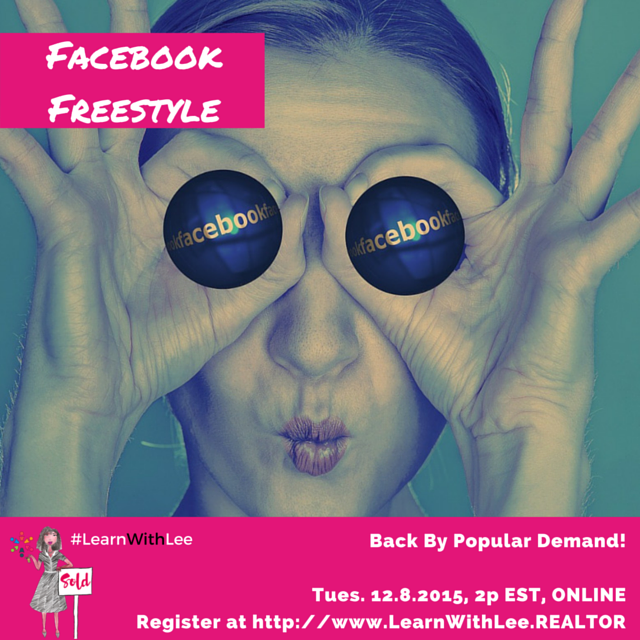 If you miss the online session, feel free to contact me if you would like to request a Facebook Freestyle Session in your "neck of the woods" as I love to travel around to help my fellow REALTORS®. Have other questions about helpful real estate technology? Ask away by following me on Facebook, Instagram, YouTube, and Google+ or by visiting LearnWithLee.Realtor. Here's to your success!